Over the years, we have executed many successful Procurement projects among top tier customers. Procurement is what we do. This also means that we have been fortunate to build extensive experience with SAP Procurement and SAP Ariba implementations and according best practices. This blog post is to inform you about our new fast-track offering that delivers the SAP Ariba procure-to-pay solution in 12 weeks. This packaged offering is designed for the mid-market and delivers fast time-to-value with content ready from day one. It is the best of SAP Ariba Buying in an affordable package containing the latest market leading innovations such as Spot Buy and Guided Buying. SAP’s differentiator for consumer-grade procurement is SAP Ariba Guided Buying. This makes operational procurement for goods and services easier than shopping on bol.com (or amazon.com). 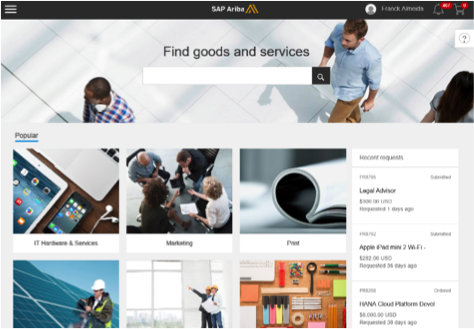 SAP Ariba Guided Buying is included in the mid-market package with pre-configured spend categories and access to 20 million products using SAP Ariba Spot Buy. The latter enables you to purchase one-off or emergency purchases that are simple too costly and time-consuming to source. The online shopping experience of this solution guides users to the preferred suppliers and their products. Your procurement guidelines are automatically followed by your employees. Negotiated savings become actual savings, your Spend Under Management increases and your processing costs will drop. Another important component in the mid-market package is the simple solution for supplier enablement. Supplier enablement is the process of electronically connecting suppliers to your business in order to digitally exchange business documents such as purchase orders and others. The general feedback that we get from our customers is that supplier enablement is never frictionless and can sometimes take multiple years. We offer friction supplier enablement with an e-mail based process for purchase orders and invoices. Your suppliers can register for free and you can exchange documents digitally straight away. All the supplier needs is an e-mail address and they can start receiving your PO’s that they can open via secure login. Using an easy-to-use portal they can track their PO’s, create order confirmations, ship notices and ‘flip’ the PO to an invoice – following your requirements. This is all free of charge to your suppliers. Please get in touch with us and let’s simplify and innovate your procurement processes using this package approach that will deliver fast-time-to-value. You can download our brief information sheet here. We are senior procurement professionals. Everything we do is aimed at making your business more successful. We do this by offering our most valued assets: our people. We deliver SAP consulting services specialized in optimizing procurement business processes. Customers choose Compera because of our procurement/SAP knowledge and our pragmatic approach.